As your choice for an adult and kids orthodontist in Toronto and North York, we at City Orthodontics are happy to provide our patients with top-notch care throughout the entire orthodontic process. While you may be excited in anticipation of your orthodontic treatment ending when your braces come off, or your last Invisalign aligners are worn. We want to give you a heads up that the process isn’t quite over just yet. There’s still one stage to go – the retention stage, which is a vital part of the orthodontic process. Retention is known as the last stage of orthodontic treatment. In this phase, you’ll wear an orthodontic appliance, known as a retainer. While orthodontic treatment had the purpose of moving your teeth into a straight, more attractive alignment, the retention phase is needed to maintain this positioning. If a retainer isn’t used, your teeth might shift back into their previous positions, erasing all the time and effort you put into giving yourself a much-improved smile. However, by using a retainer, you’ll be able to keep your teeth from shifting and retain your new, beautiful smile. These work similarly to Invisalign. 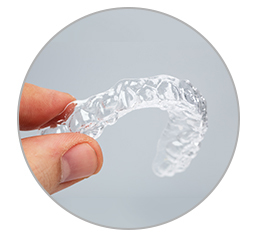 Just like Invisalign, these retainers are made out of thin, transparent plastic that is designed to fit over your teeth precisely. The number one advantage of these retainers is that they’re virtually invisible – there’s no wire to show, making it so that others won’t know that you’re wearing a retainer. Unfortunately, they’re not as durable as the Hawley retainer, and they aren’t recommended for patients with certain conditions, such as teeth grinding. A Hawley retainer will use a thin, tongue-shaped piece of acrylic that’s molded to fit your mouth along with a wire that holds your teeth in position. 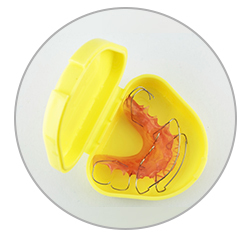 This retainer is durable, easy-to-remove, and capable of correcting minor tooth movements. If you’re interested, it can even be personalized as you can choose designs and colors for the plastic arch. As its name implies, a fixed retainer can’t be removed by a patient. Like with lingual braces, it uses a wire that’s bonded to the tongue (or lingual) side of the teeth to provide a discreet treatment. Fixed retainers are often recommended when there’s a higher risk that teeth may revert to their previous, unfavorable positioning. To keep your retainer fresh and free of germs, you should clean your retainer regularly. The proper way of cleaning will depend upon what kind of retainer you have. A Hawley retainer can be cleaned by brushing with a regular toothbrush. However, brushing may scratch a clear aligner retainer. For any removable retainers, you can use denture (or special retainer) cleaners. Regular brushing and flossing can clean fixed variants. If you need help with your flossing, we recommend using either a proxabrush or a floss threader. The last thing we want to mention is if you have a removable retainer, you should always remember to take a retainer case with you. If you have to take your retainer out, you should place it in the case. This way, you won’t end up accidentally losing your retainer. Visit Your Toronto and North York Kids Orthodontist! 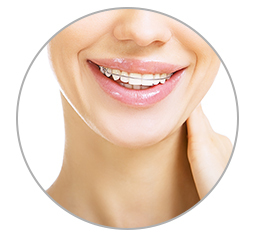 If you’re interested in braces or Invisalign, we invite you to schedule an appointment with your North York and Toronto adult and kids orthodontist. To do so, feel free to give us a call at (416) 222-3223. If you have any questions, please don’t hesitate to contact us. We hope to see you soon!